Greetings! We've redesigned this website to bring you even more of our favorite things. Please enjoy your visit! Each of the items you find here can be purchased through a direct link to a secure server -- courtesy of our parent site Amazon.com. By teaming up with Amazon.com we are able to offer you millions of book, music, DVD and video titles at significantly discounted prices -- in addition to auction and home improvement items, electronics, toys, magazines and gift merchandise. Most of the selections offer customer reviews, and popular music selections even offer sample tracks. 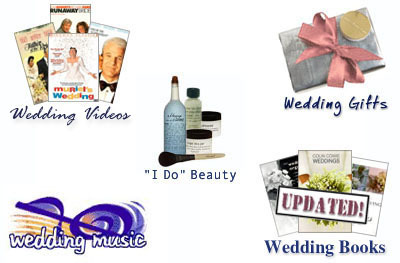 We feature several beauty items and wedding, relationship & men's titles -- and provide you with a search box to look for more! Amazon.com will be responsible for all aspects of processing your orders -- including payments and cancellations, returns, and customer service. We are simply an associate site. Click here to learn about the Amazon Safe Shopping Guarantee. If you have any feedback, questions, or suggestions -- please feel free to e-mail us at: cluelessbooks@connect-dots.com. And make sure to watch this space, because we have several exciting things in store for you -- including our weekly recommendations, reviews, and gift ideas!